Micro Four Thirds cameras give you the most of the shooting power and creativity of a digital SLR camera, without the bulk. 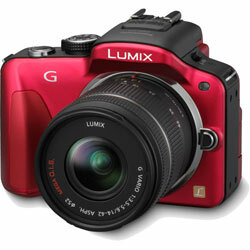 Indeed the Panasonic Lumix DMC-G3 is 25% smaller than it predecessor, the Lumix DMC-G2. This 16.6 megapixel camera also takes on board features from compact digital cameras, such as scene modes, and ‘Creative Control’, allowing in-camera manipulation of captured images to Expressive, Retro, High Key, Sepia and High Dynamic colour modes. 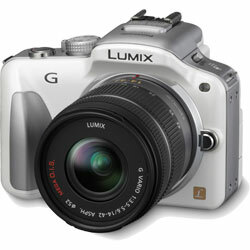 Lumix DMC-G3 has an RRP in the USA of US$699 (with the 14-42mm lens). And it is available for pre-order right now on the Amazon website, including the brown colour, that will not go on sale in Australia. The estimated shipping date for the Lumix G3 in the USA is sometime this month. UPDATE: The Australian release date for the Panasonic G3 camera is sometime in August, with local pricing details to be released close to that date. Panasonic has the Lumix DMC-G3 listed for a July 2011 release. Unfortunately, it has not give the camera a price, that will be revealed closer to the release date. Colour-wise, the black, white and red models have been chosen to go on sale in Australia. If you’re in Sydney on June 25 and 26, you can grab an early look at the Panasonic Lumix DMC-G3 at the PMA Imaging & Entertainment Expo. Previous ArticleAurasma augmented reality app available on iTunes. Sort of.